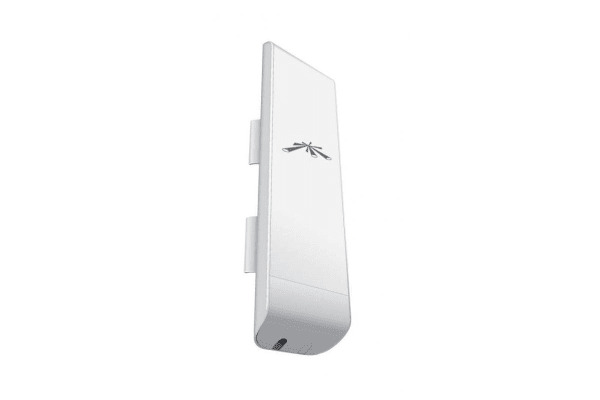 Featuring a panel antenna and dual-polarity performance, the Ubiquiti NanoStation M5 is ideal for Point-to-MultiPoint (PtMP) applications requiring high-performance CPE devices with a sleek form factor. 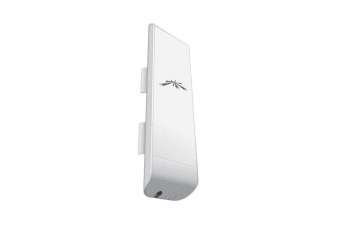 The Ubiquiti NanoStation M5 features the CPE design that expanded the Global Wireless ISP industry. The NanoStation M5 requires no tools for assembly; only a single wrench is required for pole-mounting. The NanoStation M5 can be deployed for Point-to-Point (PtP) bridging, wireless connectivity to a video surveillance system, or use as an airMAX® CPE. The Universal Arm Bracket is designed for convenient wall or pole mounting of the NanoStation M5. 90deg tilt adjustment allows for easy positioning.